The future of the desktop, Intel says, lies in the extremes: enormous tabletop all-in-ones and itty-bitty PCs like the company's own diminutive Next Unit of Computing. 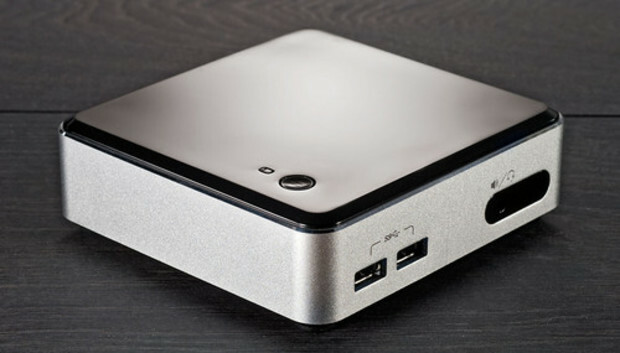 And indeed, we were mighty impressed when we got our hands on Intel's Core i5-powered NUC, which managed to crack PCWorld's top products of 2013 despite being a bare-bones system that requires users to BYO RAM, SSD, and OS. That last bit--the operating system--proved to be an issue for folks who decided to go the Linux route rather than splurging on a copy of Windows. If you tried to install Debian-based Linux distros like Ubuntu, Mint, or Valve's gaming-focused SteamOS beta on the NUC, the computer failed to recognize the location of the operating system's bootloader file. Simply put, the NUC refused to boot from the hard drive unless you manually moved and renamed the Debian bootloader to what the NUC was expecting. Ugh. Fortunately, a newly released NUC BIOS update puts those onerous days behind us. Ars Technica verified that the update fixed the problems it previously encountered while installing Linux distros. It also includes a few other minor tweaks. Feel free to grab the update from Intel's Download Center--here are instructions on how to update the NUC's BIOS, straight from Intel--and turn that mini-PC into the sweet, svelte SteamOS-based in-home game streaming receiver that it's oh-so-begging to become.